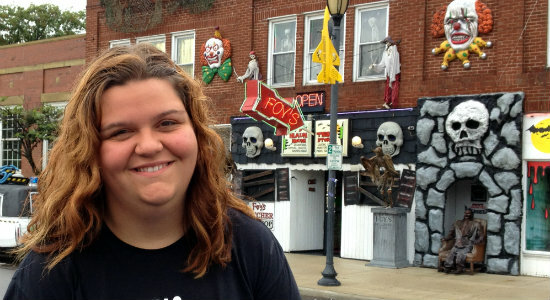 Today I drove Sarah to Fairborn, Ohio to visit the many stores of Foy's Toys. Last fall my friend Shawn introduced me to this hidden gem near Dayton. What had started out as a hardware store in 1929 has grown into multiple locations, all along Main St. each specializing in Halloween costumes and decorations. One store was filled with adult costumes, one with decorations and another with children's costumes. 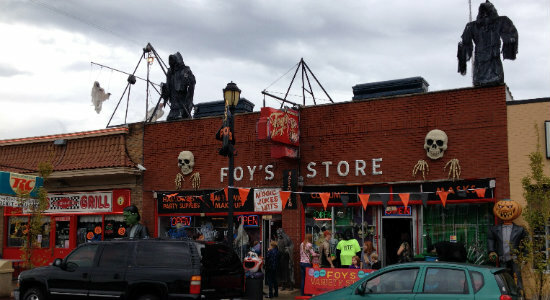 There are seven stores in all, including Foy's Rock n' Roll Grill. This was Sarah's first visit to Foy's.